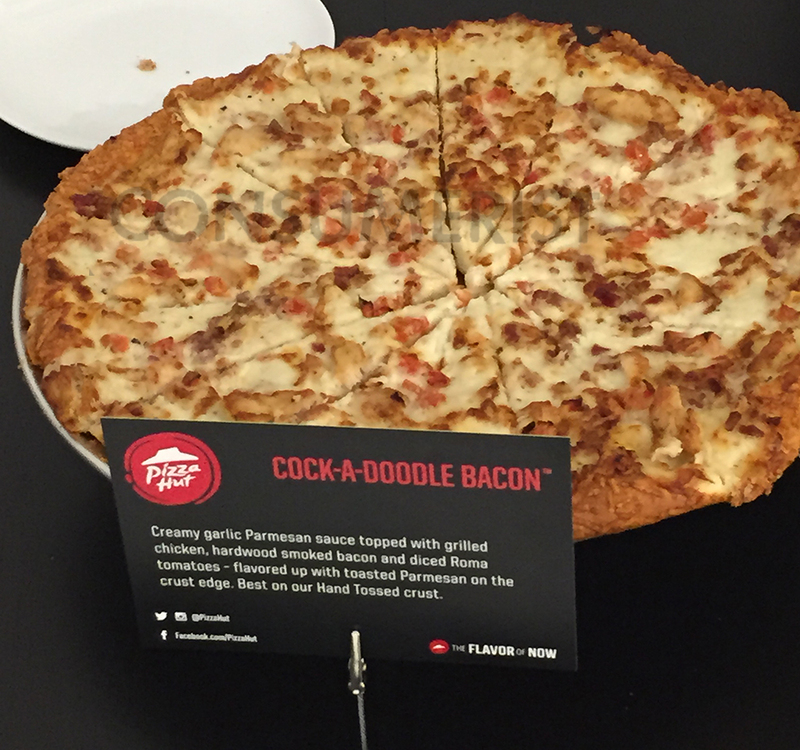 One of the 21 Pizza Hut menu options we sampled back in late 2014. A few months back, Pizza Hut announced a complete menu revamp, adding a bunch of new crusts, drizzles, toppings and whatnot to their regular slate of pizzas. We sampled 21 of these additions ahead of their release, though we weren’t exactly blown away, and it looks like we weren’t the only ones unmoved by the changes. In fact, sales for the quarter were down 3.5%. That said, the franchisee’s CEO says the company still believes in the new flavors; it’s just a matter of getting the world to actually try them. He contends that these “Flavor of Now” menu options offer a “diverse flavor platform that better connects with millennials and provides the brand a leveragable point of differentiation,” but admits “there is much work to be done to bring more awareness” of the revamp.